I picked up a couple of pre-sell boxes from Blowout Cards and got them the same day the product officially hit the streets - from two boxes, it looks like I was able to complete a 200-card base set, which was a relief since I didn't want to worry about looking for any missing set cards. 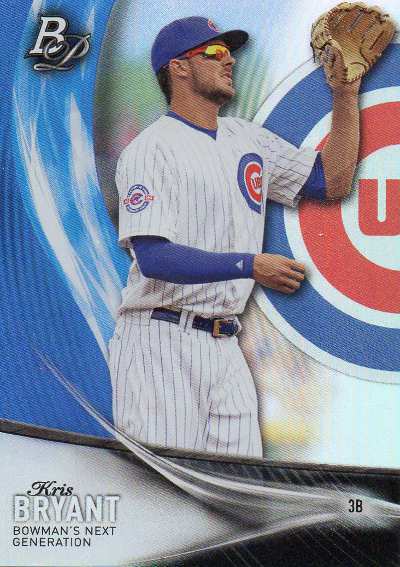 I listed the contents of my breaks in a Google Sheets file to see how many cards towards the base set were in each box - the count was 124/200 in the first box and 125/200 in the second box with no apparent dupes. 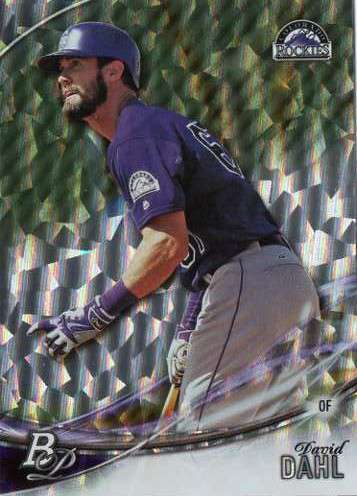 The following cards listed are the various inserts / parallels and short prints I pulled from the boxes. I only knew of him as a star pitcher who had a God given right arm, so my big takeaway from Fernandez' death last Sunday is that you have to enjoy the run - because even for guys we put on a pedestal, watch on TV and have on fantasy teams, life can be fragile and unforgiving. 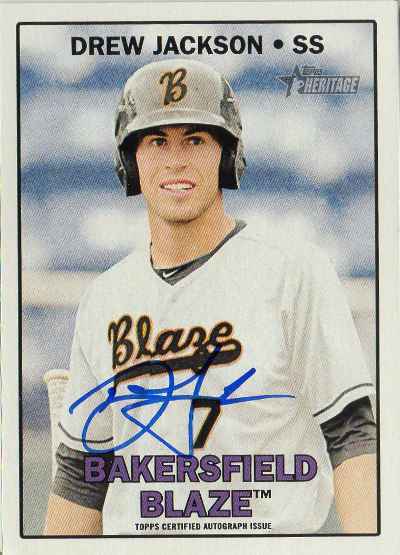 Fernandez was a 24-year old who had already endured and survived to be one of the world's best baseball players - he wasn't a guy who would have taken anything for granted, though it was still a somber moment for me to see the headline that he'd passed. 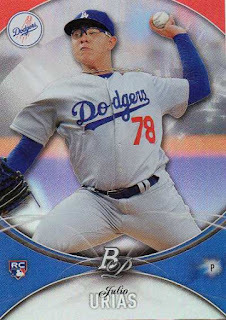 Besides the legacy he leaves as a big league player maybe his personality, his bravado and love for the game is what is going to be missed - if you didn't know much about the guy, I think those qualities is what will stand the test of time, combing through the highlights and the accounts of Fernandez's relatively short life. 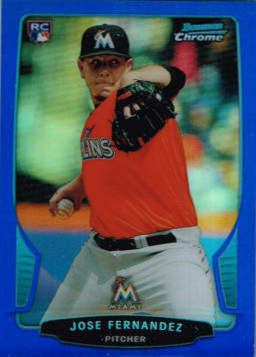 Labels: Jose Fernandez, Miami Marlins, R.I.P. 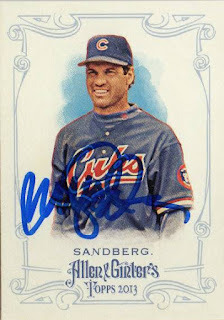 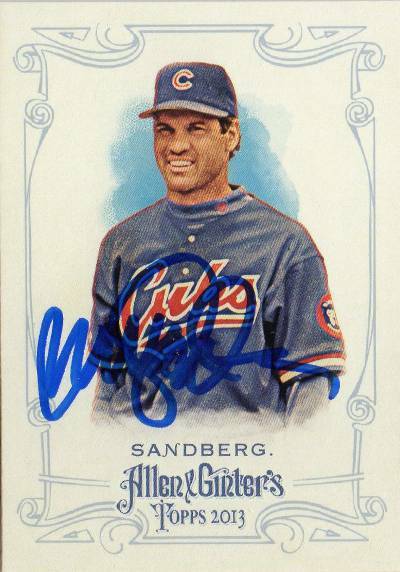 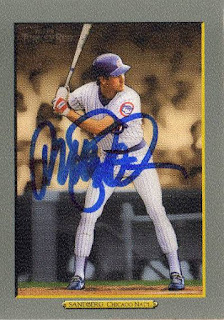 The Hall of Fame second baseman signed my two cards in blue Sharpie and sent them back in about a couple of weeks c/o a working address in Illinois - after seeing a fairly consistent stream of successes posted with Ryno, I finally put together a request on my own with a small fee and sent it out. 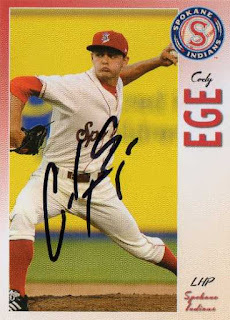 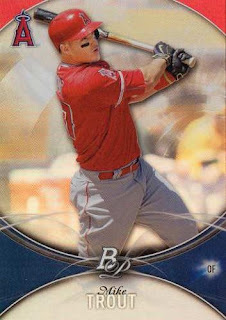 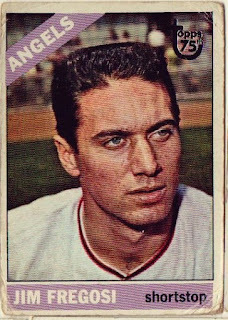 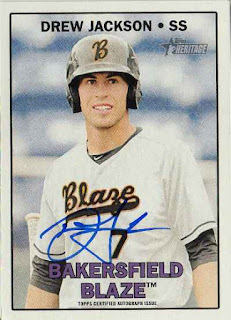 Ege fits a profile of guy who may put in a couple of years playing at the big league level before fading out - I wondered how I was going to add his autograph to my Angels collection, but I picked up signed minor league card through the SCN message boards. 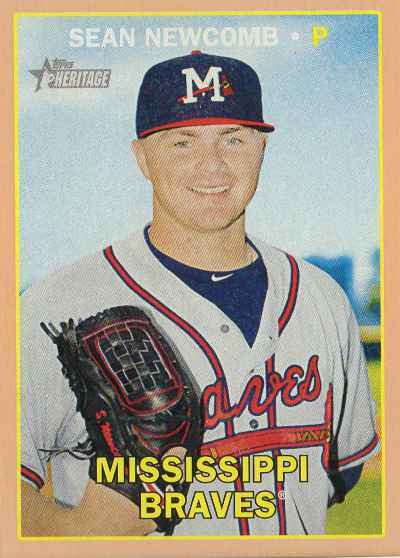 Benintendi zoomed to the big leagues in his full professional season and I'd wanted to grab his MLB debut Topps Now card - so I had a MLB/MLBPA issued rookie year card that is kind of an oddball, since Benintendi's actually rookie cards were held back for next year. 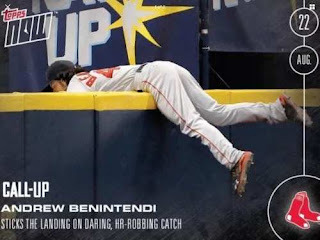 However, I ended up getting Benintendi's second 2016 Topps Now instead - I had a feeling there would be a Topps card of Benintendi crashing into the left field railing to rob a Tampa Bay Rays batter [Steven Souza Jr.] of a home run. Who knows if Benintendi will do at least a few more things this year that will warrant another Topps Now cards made - but the home run robbing card [846 printed] is a keeper. 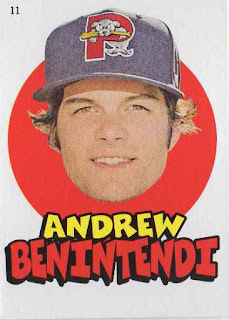 Before getting injured in August and being out a little bit of time, Benintendi was really getting comfortable hitting in the big leagues - he just came back on Sept. 15 and was 2-for-6 combined with two doubles in his last two games played. 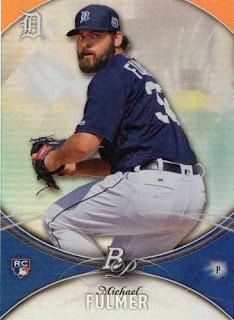 Originally property of the Toronto Blue Jays, the 28-year old rookie has been one of the few highlights in a long season for the San Diego Padres - despite a .229 batting average, the lefty hitting Schimpf has tallied up 39 extra base hits in just 236 at-bats, including 19 home runs, 15 doubles and 5 triples. 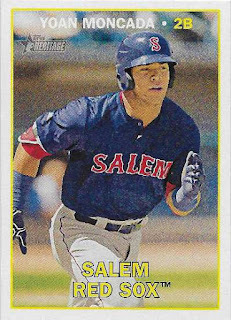 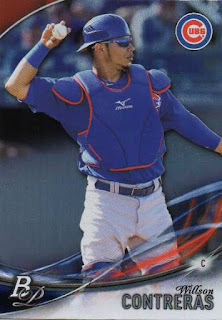 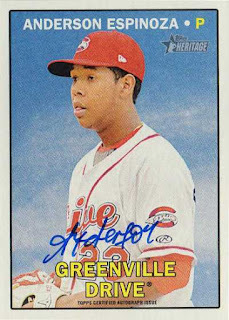 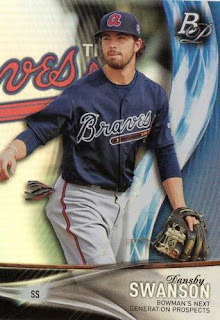 At the very least, his impressive rookie season gives him at least a couple of more years to stick it out in the big leagues - when perhaps he was destined to be a career minor leaguer or someone who ends up playing overseas. 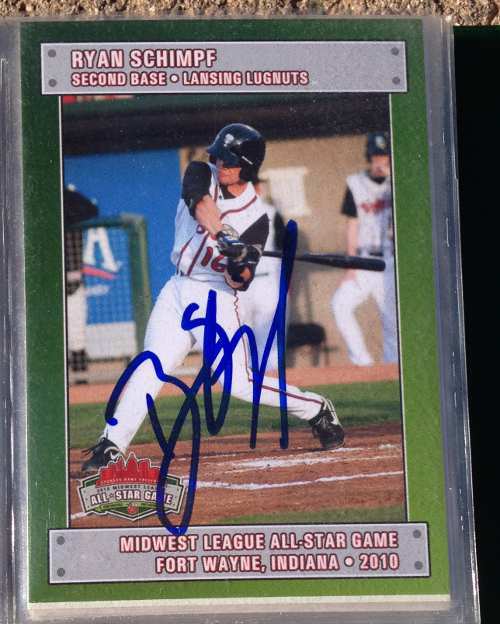 I got this 2010 Midwest League card signed earlier in the year during a trip to Las Vegas to graph the visiting Padres' AAA team - when I was pulling cards for the team, I knew I had the one Schimpf, though he was just another guy I had to track down for a scribble. For a guy who was selected No. 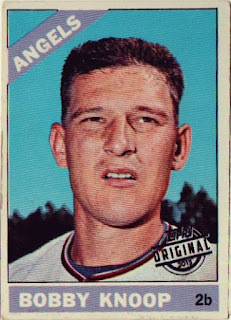 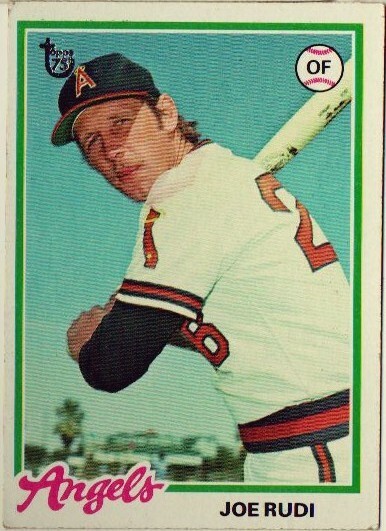 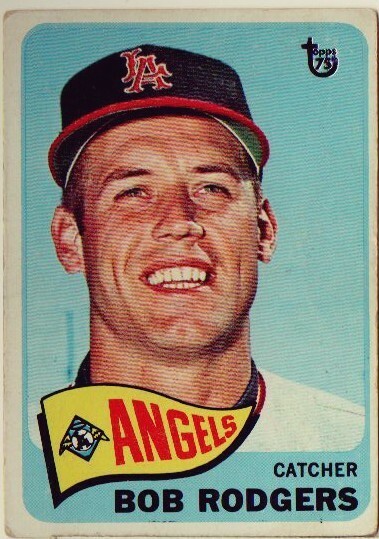 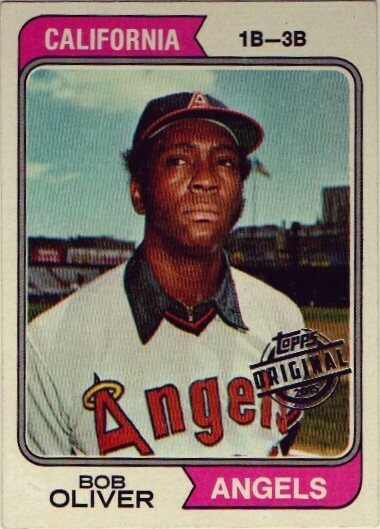 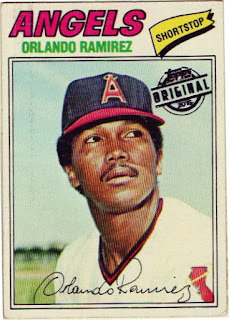 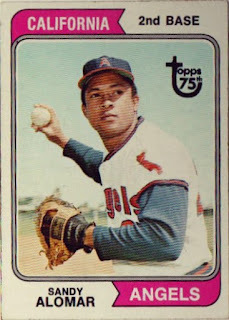 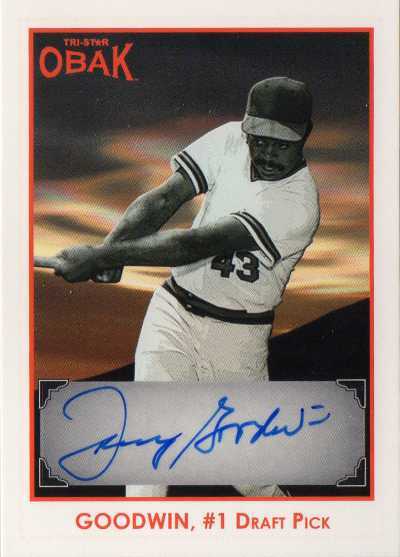 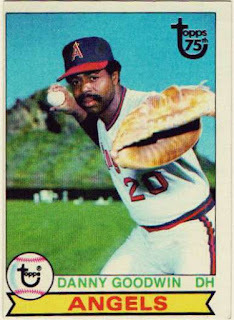 1 overall in the nation twice, Goodwin was a bust - he's been pretty much obscured by history, but the one-time Angel was named to the National College Baseball Hall of Fame in 2011. 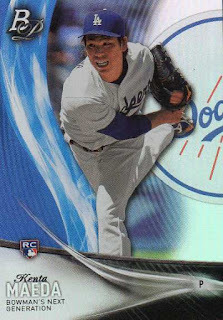 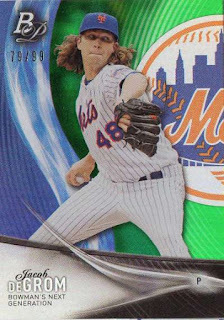 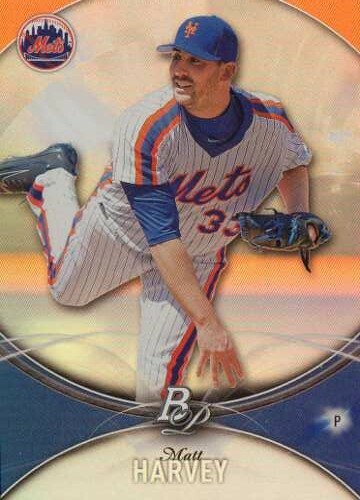 This Walmart exclusive product seem to be flooding into various locations now and I grabbed a blaster and two 12-card packs - while I consider these cards a secondary, 'lesser' product, the foil board cards are a change of pace from the regular Bowman / Bowman Chrome products, which gets repetitive and boring. These dingy old Topps cards add wrinkles to my Opening Day collection - the Topps buyback stamps make the cards a curiosity of sorts [even if the cards are literally fillers] and depending on a specific card or player, I might seek them out on impulse.